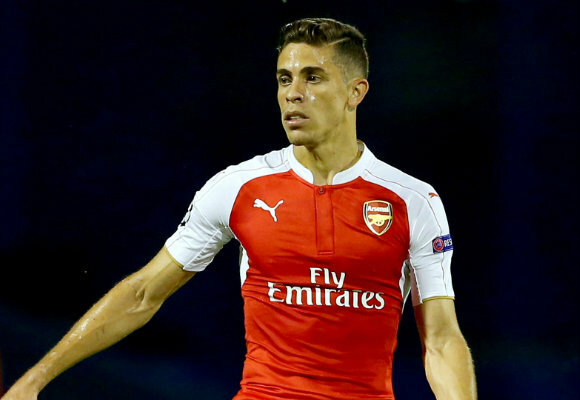 Arsenal defender Gabriel Paulista has offered a positive update on his recovery from a hamstring injury ahead of the Gunners’ trip to Manchester United this weekend, according to the Evening Standard. Gabriel suffered the injury earlier this month and has been forced to miss Arsenal’s last two Premier League matches against Leicester City and Hull City while he was also absent for Tuesday night’s disappointing Champions League defeat to Barcelona. The injury came at just the wrong time for the Brazilian international as Gabriel was looking to establish himself as a regular in Arsene Wenger’s team having started ahead of Per Mertesacker in the games leading up to his injury. The 25-year-old has now admitted his frustration at picking up the untimely knock but has handed Arsenal a major injury boost by saying he’s almost back to 100% fitness. “I’m almost 100 per cent recovered, I’ve already started to do the strengthening work. “I went to Brazil briefly to try and recover, and also to be close to my family as well. Now I’m back and working with the help of Arsenal’s medical team to come back. “I’m very happy with the training sessions at the end of last week and hope to continue with this work to be able to be at the manager’s disposal soon. “I had been playing well for four or five consecutive games, being praised by everyone, so this injury took me by surprise. It made me sad, that’s why I returned to Brazil. Wenger claimed last Friday that Gabriel was a week away from returning from his injury and now the player himself has revealed that he’s nearly fit again so it looks as though he could make his comeback against Manchester United on Sunday. That would be a major boost for third-placed Arsenal as they head to Old Trafford this weekend looking to keep the pressure on leaders Leicester with a positive result against the Red Devils.